Born and raised in Kenya, Michael studied medicine at the University of Aberdeen. Following his graduation, he underwent further training in Aberdeen, Oxford and London. During this time he became the second ever Restore Fellow, successfully undertaking research into the cellular basis behind why some burn injuries deepen with time. 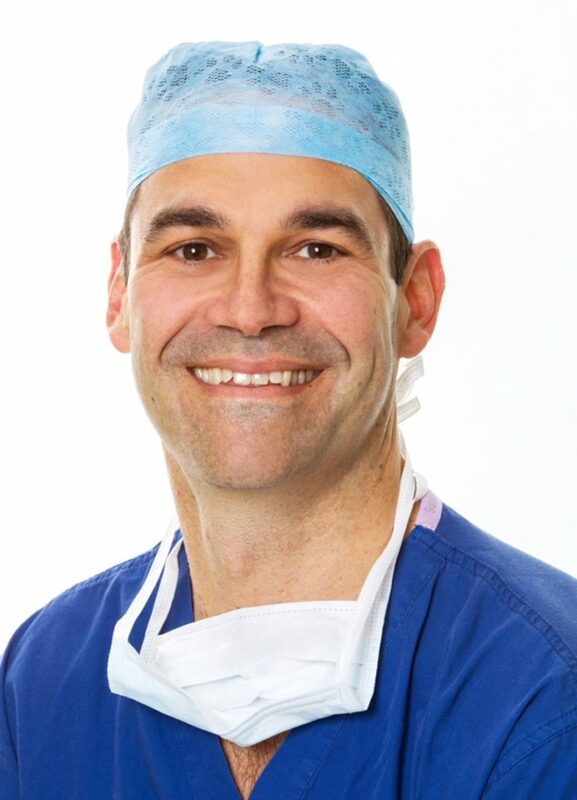 Michael has been a consultant plastic, reconstructive and aesthetic surgeon since 2001. Currently a member of Restore’s Scientific Advisory Committee, Michael plays an important role in scrutinising and appraising Restore’s research work. How did you become involved with Restore and why did you decide to undertake research in burns and scarring? Most doctors and surgeons in particular, I think find themselves always rushing towards the next stage of their careers: finishing medical school, completing your early years as a junior, becoming a registrar and working towards becoming a consultant. In reality however, I found taking some time out of that headlong rush towards a consultant post a very valuable period to me, not only to my training as a surgeon, but also to my life as a whole. Since that time I made the decision that I very much wanted research to be a part of my life. I had always wanted to be able to focus on a clinical problem that I saw in my day to day work, rather than completing the next series of experiments probing large and less well-defined questions in medical science. My pursuit of research in burns and scarring was very much grounded in that clinical experience, because I was treating the burns caused by scalding water on a daily basis and witnessing the very real consequences of that for patients and their families. Could you tell us about some of the work you have overseen at Restore? You can follow the thread of logic throughout Restore’s work from the early nineties until the present day. My own research work focussed on identifying a critical depth at which burn injuries would deepen. Following this, Restore successfully identified the depth at which a scratch injury would cause scarring- the notion that such a depth existed made sense clinically but we managed to prove it scientifically. More recently, we have focussed on the effects of cooling a burn and the reason why it is such a vital part of first aid for scalds. We had studied how cooling affects the inflammatory profile found within different depths of burn injury. This has involved large amounts of work at the cellular and molecular level. The consistency of thought that we have shown as an organisation over more than twenty years is something I am immensely proud of. We have never been a huge organisation and have never been backed by millions and it is correct that more common and destructive diseases such as cancer are researched with those millions. We know however, that it is extremely important to those who are living with scars that research is being done to understand why and how scars form and develop effective treatments and that does need a portion of those millions! It is my hope that we are able to ever expand the sphere of scientific research in this area and to continue to make a contribution to medicine. It is also my hope that we continue to inspire people to work in this area and to encourage and train young scientists and clinicians working in this field. Unfortunately, in the last half century there has been no true breakthrough or revolution in the treatment of scarring, however, if and when that landmark comes, somewhere in the sequence of work necessary to produce that advance, I very much hope that we will have contributed a key paper.